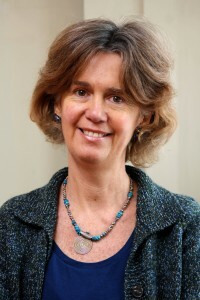 Pauline Marksteiner grew up in a large family in South Africa, with Dutch parents. After graduating in nursing and midwifery, the experience she gained through nursing, business and voluntary work, together with her European heritage, led her to pursue a biographical counselling training in Europe. Having completed her training in the UK in 2004, Pauline now works as a BACP (British Association for Counsellors and Psychotherapists) accredited counsellor at St Luke’s Medical Centre in Stroud, Gloucestershire. Working on a part-time basis as part of a therapeutic team offering individual and group work, she is inspired by these two ways of working and feels privileged to meet and work with people in these different contexts. Pauline’s approach, which involves encouraging people to connect more fully and freely with their own resources, is something that underpins the work we do at Oasis. It is also a source of inspiration for her own life.